A great many Bible events involve persons who act at a propitious moment—not as a matter of sheer chance, but under the sovereignty of God, the Lord of history. A range of biblical examples comes readily to mind: the young shepherd David, who began the day bringing food to his soldier brothers, but found himself facing Goliath in battle (1 Samuel 17); the boy whose lunch fed 5,000 through a miracle of Christ (John 6:1-14); the Pharisee Gamaliel whose intervention saved the apostles from a Sanhedrin death sentence (Acts 5:33-40). Of course, the prime example is Jesus, of whom John the Baptist declared, “The time has come . . . The kingdom of God has come near. Repent and believe the good news” (Mark 1:15). The Greek word for “time” in John’s declaration is kairos, denoting a season or moment pregnant with promise, laden with significance, prophetically charged—a day to be seized lest the choice opportunity is lost. It stands distinct from the other Greek word for time, chronos, the “tick-tock” time of your watch or of chronology. Of course, the Old Testament was written in Hebrew, but thanks to a team of scholars who began their work in the third century BC, a Greek version, the Septuagint, emerged over the next hundred years. And it employed the word kairos to capture the role of Esther in delivering her people from destruction. Living among exiles under Babylonia captivity, Esther was chosen as queen to King Xerxes, who did not know she was Jewish. But that would change. A wicked official named Haman so despised her uncle Mordecai that he managed to elicit a royal decree that all the Jews would be slaughtered on a particular late-winter day. 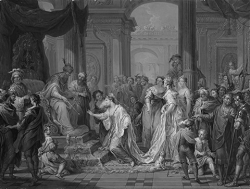 Distraught, Mordecai urged Esther to approach the king on behalf of her people, thereby risking her life by entering his throne room uninvited and by revealing her ethnicity. He reasoned that she may have gained her own high position so that she would be in place to act effectually “for such a time [kairos] as this.” She assented, and the Lord blessed her efforts. The case of Esther is instructive for Christians of every era: 1) She was available when called, sufficiently attuned to the heart and work of God to say yes when the path opened up before her; 2) She was willing to move outside her safety zone, telling Mordecai, once she’d made her choice, “If I perish, I perish” (Indeed, some, like the disciple Stephen in Acts 7, lost their lives at their kairos moment); 3) She undergirded her action with fresh consecration, in her case through a three-day fast (v. 16). Meanwhile, God was acting providentially to maximize the impact of Esther’s deed. He softened Xerxes’ heart so that he might not lash out at Esther’s “impertinence.” (As it says in Proverbs 21:1, “In the Lord’s hand the king’s heart is a stream of water that he channels toward all who please him.”) And He gave the king a sleepless night, one in which he turned to old official records, where he discovered that Mordecai had once saved him from an assassination plot. “Your love is your own private possession,” wrote Christian martyr Dietriech Bonhoeffer to a young couple from his prison cell in 1943. “But marriage is more than something personal—it is a status, an office. Just as it is the crown, and not merely the will to rule, that makes the king, so it is marriage, and not merely your love for each other, that joins you together in the sight of God and man. . . . It is not your love that sustains the marriage, but from now on, the marriage that sustains your love.”[i] What a stark contrast to the contemporary, sentimentalized view of marriage! 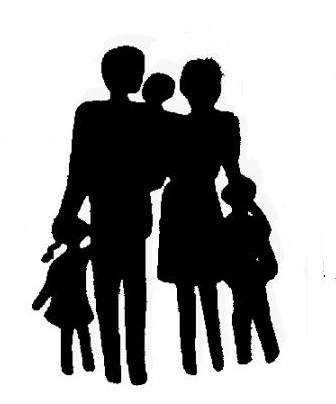 One of God’s purposes for marriage is to illustrate the relationship of Christ and the Church. Just as in the old covenant, Israel was Yahweh’s bride (e.g., Jer. 2; Ezek. 16; Hos. 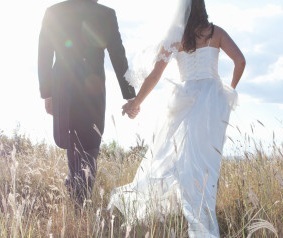 1-2), so in the new covenant, the Church is Christ’s bride (Eph. 5:22-33; Rev. 19:6-9). This divine marriage encompasses all of time, from eternity past to eternity future. It is not as if Paul is casting around for an illustration of what it means to live a godly married life and thinks of Christ and the Church. Quite the reverse: marriage is the illustration. Christ and the Church are the ultimate reality. Furthermore, while marriage is a creation ordinance (Eph. 5:31, quoting Gen. 2:24), the relationship of Christ and the Church is prior to creation. We were chosen in Him before the foundation of the world (Eph. 1:4); and this is the mystery now revealed in the gospel. While human marriage is merely lifelong (Mark 12:25), the marriage of Christ and the Church will last for all eternity. Just as marriage is public (“a man shall leave his father and mother”), intimate (“the two shall become one flesh”), exclusive, and lifelong (“[he shall] hold fast to his wife”), Christ’s relationship with the Church is public, intimate, exclusive, and lasting. The Lord Jesus is a faithful husband. His commitment to His bride is seen in that He laid down His life for her in order that she might belong to Him (Eph. 5:25-27). He did this even while she was an idolatrous sinner. His promise is that He will lose none of those the Father gives Him (John 6:39). His commitment to His bride sustains His love for her, even when she sometimes strays. By taking a bold stand for lifelong, monogamous, heterosexual marriage, pastors and their churches inoculate Christians against an overly sentimentalized view of marriage that pervades the culture. And by committing themselves to marriage as a covenantal institution, Christians reflect the commitment of Christ to His Church and, thereby, proclaim the gospel in their very unions—making marriage a blessed tool of evangelism. [i] Dietriech Bonhoeffer, quoted in Richard John Neuhuas, “The Public Square,” First Things 113 (May 2001): 67-88, http://www.firstthings.com/ftissues/ft0105/public.html (accessed March 8, 2006). However, the Christian conquest of the Roman Empire came not by the sword, but by the preaching of the gospel joined with acts of compassion. Eusebius goes on to state that because of their compassion in the midst of the plague, the Christians’ “deeds were on everyone’s lips, and they glorified the God of the Christians. Such actions convinced them that they alone were pious and truly reverent to God.”[v] A few decades after Eusebius, the last pagan emperor, Julian the Apostate, recognized that the Christian practice of compassion was one cause behind the transformation of the faith from a small movement on the edge of the empire to cultural ascendancy. Writing to a pagan priest, he said, “[W]hen it came about that the poor were neglected and overlooked by the [pagan] priests, then I think the impious Galilaeans [i.e., Christians] observed this fact and devoted themselves to philanthropy.”[vi] To another, he wrote, “[They] support not only their poor but ours as well, all men see that our people lack aid from us.”[vii] In fact, Julian proposed that pagan priests imitate the Christians’ charity in order to bring about a revival of paganism in the empire. Julian’s program failed because the polytheism of ancient Rome was unable to sustain the kind of self-sacrificial love and compassion that Eusebius observed in Caesarea. Christianity presented to the ancient world two theological truths that were not to be found in the pagan religions. The first is that the God of Jesus Christ is a God worth dying for, since He had first demonstrated His love for humanity by sending His Son. The second truth was a “new conception of humanity,” that is, the idea that all human beings have special dignity and should therefore be shown compassion. [viii] These two ideas slowly but surely transformed the culture of the Roman Empire. Today, as the West appears to be returning to paganism, the distinctiveness of the Christian doctrines of God and of man will once more stand in stark contrast to the surrounding culture by Christians demonstrating the love of Christ in acts of compassion. [i] Caesarea had a population of about 45,000. There were only thirty-one cities in the empire whose populations were greater than 30,000. See Rodney Stark, Cities of God: The Real Story of How Christianity Became an Urban Movement and Conquered Rome (New York: HarperCollins, 2006), 35-36, 60. [ii] Eusebius, The Church History, trans. Paul L. Meier (Grand Rapids: Kregel, 2007), 293. In other editions, see IX.viii.13-15. Eusebius records that the famine was so severe that a single measure of wheat was sold for 2,500 drachmas, one drachma being the daily wage of a skilled worker (292). Eusebius interprets the tragic events as divine punishment upon the city for its zeal in carrying out the government-sponsored persecution of the Christians initiated by Caesar Maximin. Shortly after these events Maximin died, Constantine became emperor, and Christianity was legalized throughout the empire. [iii] Stark, Cities of God, 26-29. [iv] See Stark, Cities of God, 35-59, for a brief overview of the Christian presence in each of the thirty-one largest cities of the empire. [v] Eusebius, 293. In other editions, see IX.viii.13-15. [vi] Julian, “Fragment of a Letter to a Priest,” in The Works of the Emperor Julian, vol. 2, trans. Wilmer Cave Wright (New York: MacMillan, 1913), 337. Julian is not referring to the specific instance that Eusebius cites, but is referring to Christian charity more generally. Elsewhere, Julian stated regarding the Christians, “It is their benevolence to strangers, their care for the graves of the dead and the pretended holiness of their lives that have done most to increase atheism” (“To Arsacius, High-Priest of Galatia,” in The Works of the Emperor Julian, vol. 3, trans. Wilmer Cave Wright [New York: G. P. Putnam’s Sons, 1923], 69). He went on to say that “I believe that we [i.e., the pagans] ought really and truly to practise every one of these virtues.” Julian’s program of moral reform forbade priests from going to licentious theaters and to sacred games at which women were present. He also encouraged priests to demonstrate hospitality by establishing hostels for travelers and distributing money to the poor. As a former Christian, Julian knew the Christian ethic well. Echoing the words of Jesus about the greatest commandment, Julian summarized the requirements for appointment to the pagan priesthood as love for (the pagan) gods and love for man (“To Arsacius,” 69-71; cf. “Fragment of a Letter to a Priest,” 335-337). [vii] Julian, “To Arsacius,” 71. [viii] Rodney Stark, The Rise of Christianity: How the Obscure, Marginal Jesus Movement Became the Dominant Religious Force in the Western World in a Few Centuries (San Francisco: HarperCollins, 1997), 214. It was a Pony Express rider, one of over 200 who carried mail on the 2,000-mile route between St. Joseph, Missouri, and Sacramento, California—men with names like Lafayette Bolwinkle and G. G. Sangiovanni, and with nicknames like “Irish Tom” and “Pony Bob.”[ii] Though it ran for little more than a year (trumped by the telegraph, which could deliver a message in seconds rather than days), it became a treasured item of American lore. Furthermore, each rider and each way station was issued a special, calf-bound[v] edition of the Bible, supplied by the American Bible Society. [vi] Of course, riders were known to “backslide” from the pledge, the Bible was not typically at the forefront of their reading list, and enforcement was difficult in the sparsely populated wilderness,[vii] but Majors gave it his best, and it helped. Of course, these quaint pledges and practices would run afoul of lawyers and stockholders today, but there are new enforced pieties in the land, legal codes normalizing homosexuality and requiring funds for abortifacients. And biblically-sensitive companies such as Chick-Fil-A and Hobby Lobby (both of which, following Majors, honor the Lord’s Day) take a beating from the commissars of political correctness, whether the head of HHS or the mayor of Chicago. Majors may have made it tough for ruffians to get a job in his company, but now the government is making it tough for committed Christians to field a company in the first place. [i] Mark Twain, Roughing It, 1872 (New York: Airmont Books, 1967), 39. [ii] “Pony Express Riders,” Pony Express Museum Website, http://ponyexpress.org/pony-express-riders/ (accessed February 4, 2013). [iii] “A Calvinist, Majors was a deeply religious man, a fundamentalist who read the Bible daily” [Christopher Corbett, Orphans Preferred: The Twisted Truth and Lasting Legend of the Pony Express (New York: Broadway Books, 2003), 22]. 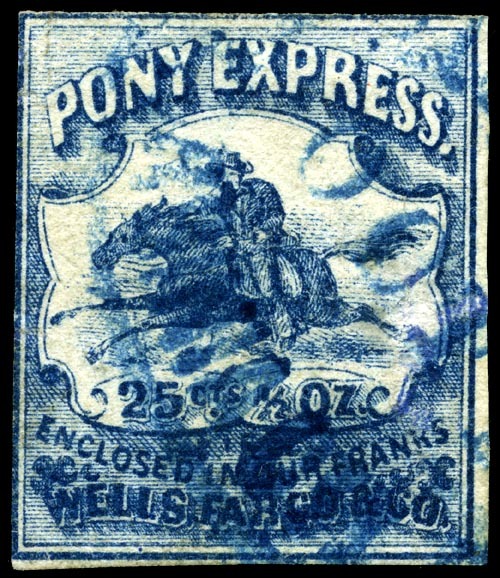 [iv] “Pony Express Historical Timeline,” Pony Express Museum Website, http://ponyexpress.org/pony-express-historical-timeline/ (accessed February 4, 2013). [v] Alexander Majors, Seventy Years on the Frontier: Alexander Majors’ Memoirs of a Lifetime on the Border, ed. Colonel Prestiss Ingraham, with a Preface by “Buffalo Bill” (General W. F. Cody) (Chicago and New York: Rand, McNally & Company, 1893), Kindle edition, location 2732, 58%. [vi] “Did ABS Print a Special Pony Express Bible?” Record Online: Digital Magazine of the American Bible Society, http://record.americanbible.org/content/bible-qa/did-abs-print-special-pony-express-bible (accessed February 4, 2013). [vii] Corbett, Orphans Preferred, 101. [viii] Anthony Godfrey, Historic Resource Study: Pony Express National Historic Trail (United States Department of the Interior/National Park Service, August 1994), 32. [ix] Majors, Seventy Years on the Frontier, Kindle edition, location 989, 21%. [x] William Cody, Foreword to Majors, Seventy Years on the Frontier. Kindle edition, location 89, 2%. 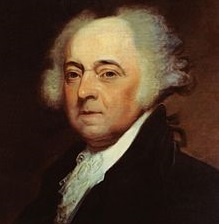 In 1774, as Britain and the American colonies verbally sparred over the issues of taxation, representation, and national identity, John Adams wrote a chronology of the conflict entitled Novanglus: A History of the Dispute with America from Its Origin to the Present Time. The future President of the United States realized that a corrupt people could never sustain a moral debate with King George III, much less a civilized society. Directing his comments specifically to his local context, Adams called upon the obvious source of rescue: he called upon pastors of his day to address the sins of both the state and individuals while simultaneously calling them to articulate a vision for public virtue. It is the duty of the clergy to accommodate their discourses to the times, to preach against such sins as are most prevalent, and recommend such virtues as are most wanted. For example,—if exorbitant ambition and venality are predominant, ought they not to warn their hearers against those vices? If public spirit is much wanted, should they not inculcate this great virtue? If the rights and duties of Christian magistrates and subjects are disputed, should they not explain them, show their nature, ends, limitations, and restrictions, how much soever it may move the gall of Massachusetts? John Adams, “Novanglus: A History of the Dispute with America, from Its Origin in 1754, to the Present Time”; cited in Norman Cousins, ed., “In God We Trust”: The Religious Beliefs and Ideas of the American Founding Fathers (New York: Harper & Brothers, 1958), 89-90. 7 And the people served the LORD all the days of Joshua, and all the days of the elders who outlived Joshua, who had seen all the great work that the LORD had done for Israel. 8 And Joshua the son of Nun, the servant of the LORD, died at the age of 110 years. . . 10 And all that generation also were gathered to their fathers. And there arose another generation after them who did not know the LORD or the work that he had done for Israel. 11 And the people of Israel did what was evil in the sight of the LORD and served the Baals. 12 And they abandoned the LORD, the God of their fathers, who had brought them out of the land of Egypt. They went after other gods, from among the gods of the peoples who were around them, and bowed down to them. And they provoked the LORD to anger. Gertrude Himmelfarb’s Marriage and Morals among the Victorians traces the abandonment of Christianity by certain descendants of the evangelical Clapham Sect, whose members included Henry Thornton and Hannah More. Indeed, so far did their offspring move from Christ that within two generations, Thornton’s great-grandson and More’s goddaughter’s great-nephew, E. M. Forster was a member of the socially dissolute Bloomsbury Set, which included Lytton Strachey and Virginia Woolf. Israel knew all about the failure to pass on God’s ways across several generations. Having brought the people into the promised land of Canaan, led them through many victories, and set a good example of trust in God, Joshua died when he was 110 years old (v. 8). After his death, other contemporaries lived on for a while, but then they too died out (v. 10a). God’s people served God faithfully as long as these eye-witnesses of God’s goodness to Israel preserved the memory of God’s greatness (v. 7). But when Joshua’s generation died out, their descendants lacked that personal knowledge of God and promptly forgot all that the Lord had done for their nation (v. 10b). If God’s people do not constantly ponder and pass on the good news of salvation, their children’s faith will last no longer than the morning dew. The Bible contains no guarantee that salvation automatically transfers from parent to child, a fact that should sober even Christ’s most faithful servants. Certainly, a mother or father’s life of holiness and biblical instruction are means by which boys and girls come to know the Lord. But family religion alone is not enough. One becomes a Christian by faith and grows as a Christian only through a deeply personal walk with Jesus, and a life that is hidden in God. It is a lesson so obvious that it is easy to forget. And it most definitely is a leading reason why Europe—once a thoroughly Christian continent—now copes with the emptiness of secularism’s spectre and countless young people who embrace no belief save nihilism. Parents and pastors know within their own families and churches how easily people presume to live on their parents’ spiritual capital. While the Clapham evangelicals are praiseworthy for their gospel stand on many social ills in Victorian England, not least child labor and the slave trade, their descendants stand as reminders that Christ cannot be received by osmosis.